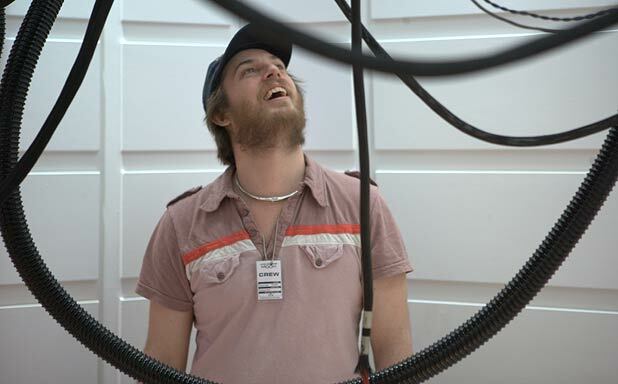 Awhile back we wrote up a story called “Directors You Should Know About — Duncan Jones (Moon)”. 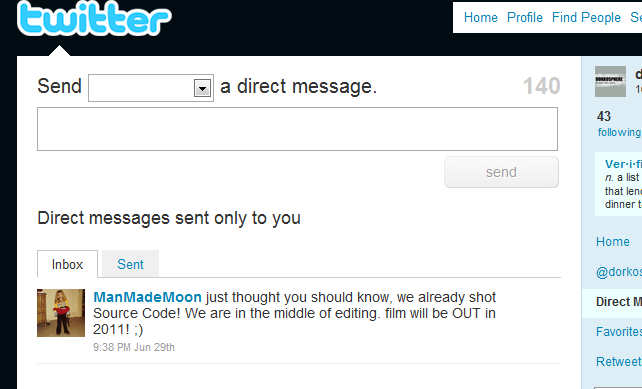 Well Duncan Jones himself was nice enough to send us the twitter message seen above. Looks like he’s already done filming “Source Code” starring Jake Gyllenhaal and it will indeed be released in 2011! I can’t wait! Be sure to subscribe to our new Facebook/Twitter pages to automatically get all the latest updates on the film!